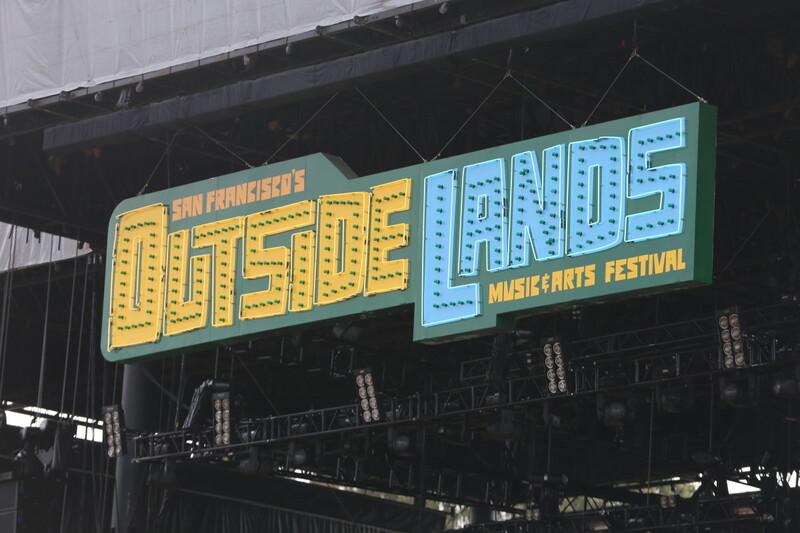 Outside Lands Defines What A California Music & Arts Festival Should Be! 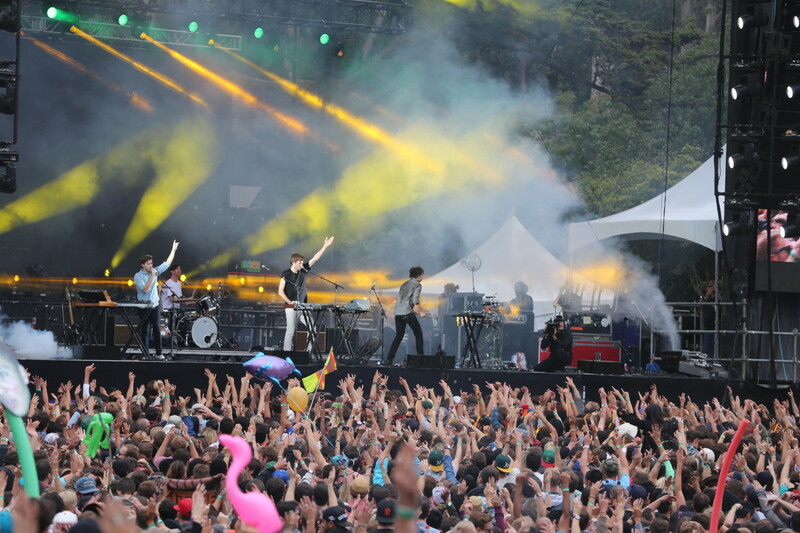 Outside Lands, you really seem to have outdone yourself this year… Buy the ticket, take the positive vibes. 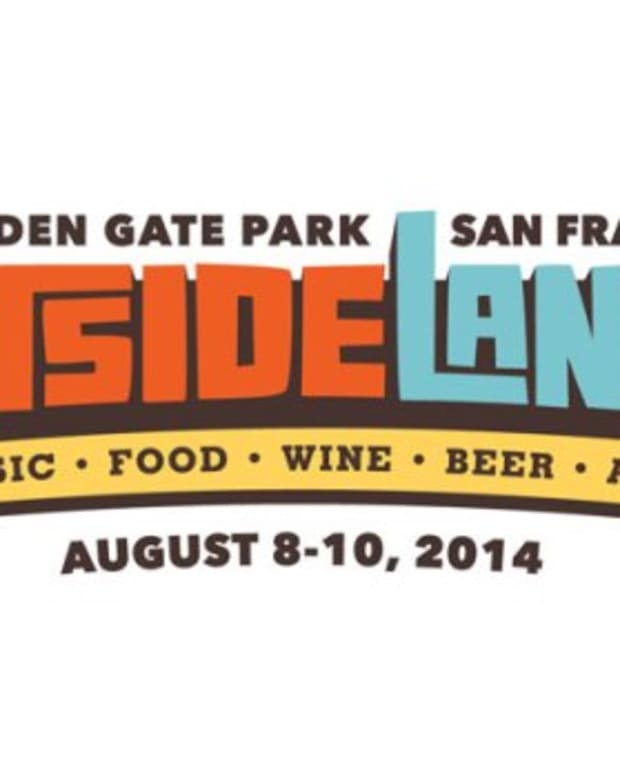 Outside Lands knows how to curate a diverse and relevant lineup. This festival has a unique flavor and to put it bluntly, it is super delicious. 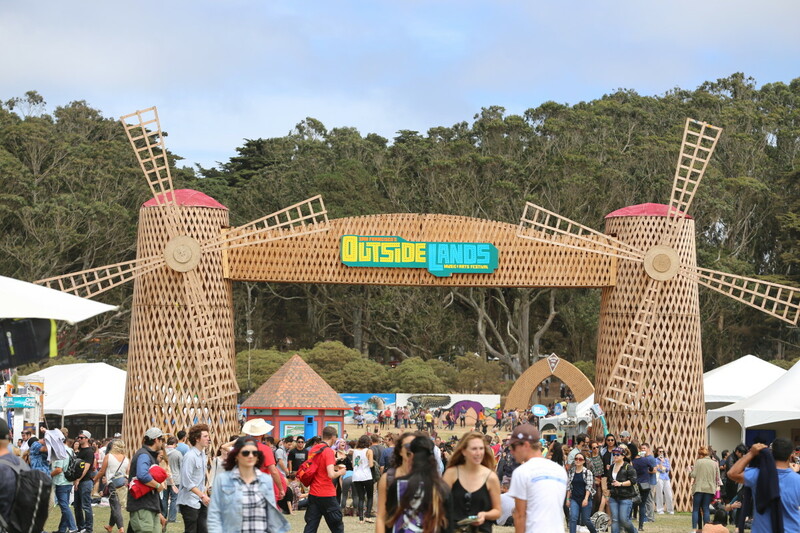 With a focus as much on the food and drink as the well thought out lineup, Outside Lands has it all from funk, rock, folk and bluegrass to the biggest electronic dance music acts. 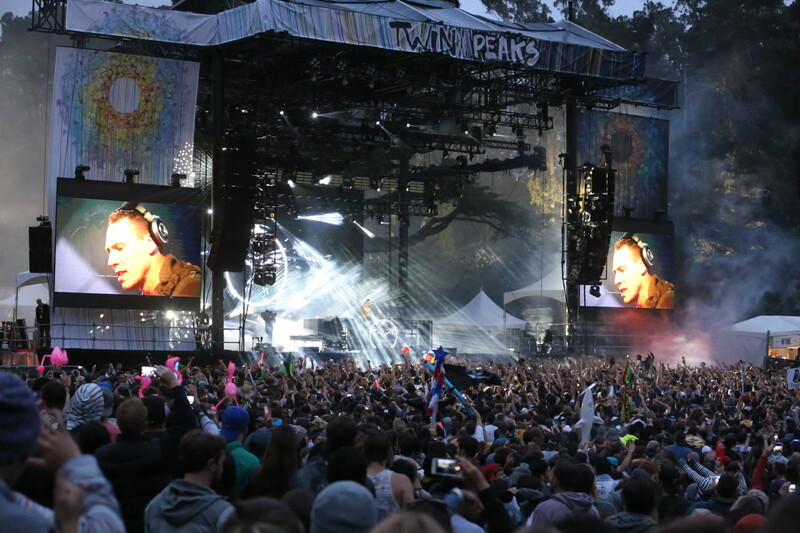 The electronic dance music offering overall in 2014 was the most significant I had ever experienced, with the Friday Land&apos;s End stage being completely consumed by dance music from the early afternoon to when Kanye West closed it out in the evening. 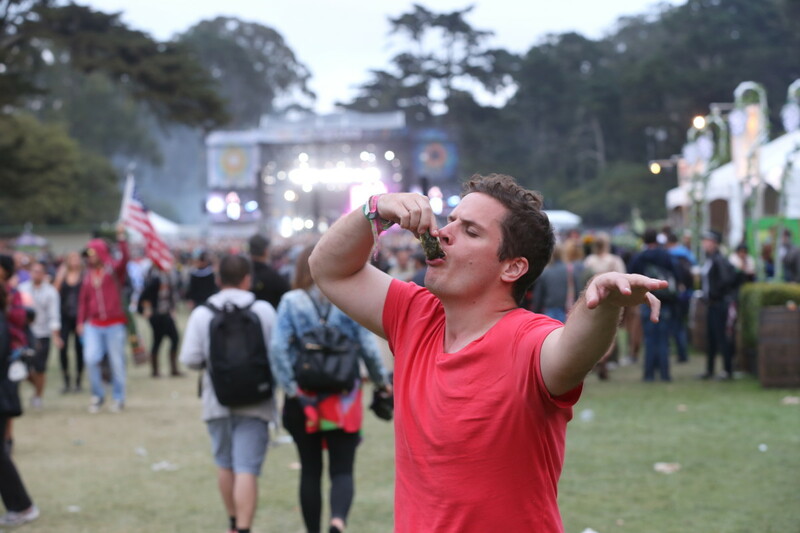 Pair the amazing dance bill with the finest cuisine Golden Gate Park has seen in a year, and you have a festival that is now a San Francisco staple in its sixth year running. 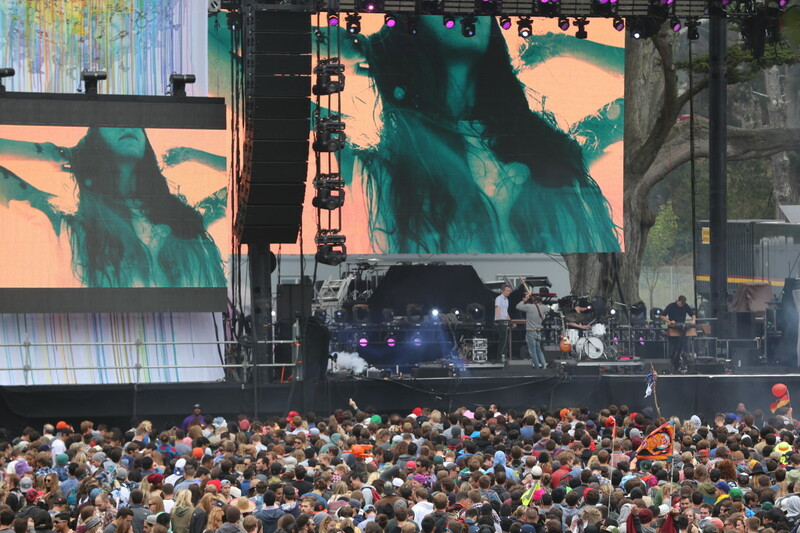 Look out Outside Lands year number seven! 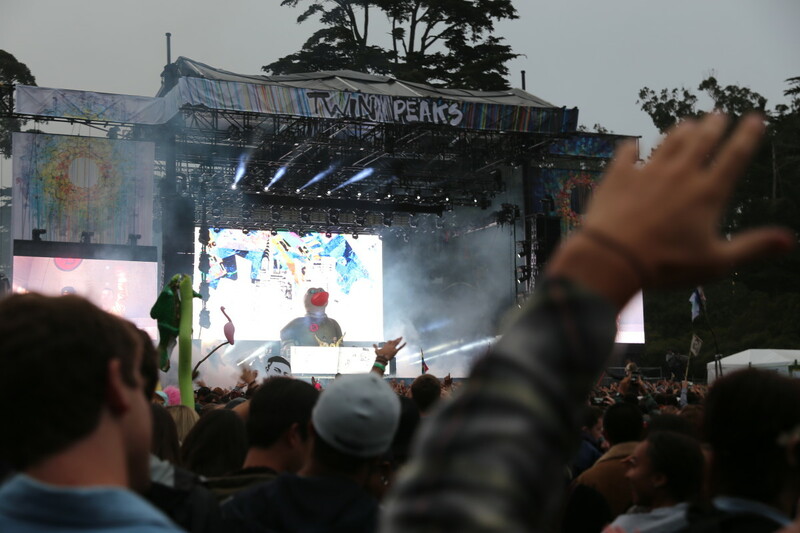 Although the festival started out with a bit of controversy with scalpers swindling many festival goers out of hard earned cash with counterfeit tickets, my perspective on this is that - Outside Lands, you are now a big player. It is a growing pain, but it is time to invest in classy wristbands like the other major festivals. Friday was beautiful. 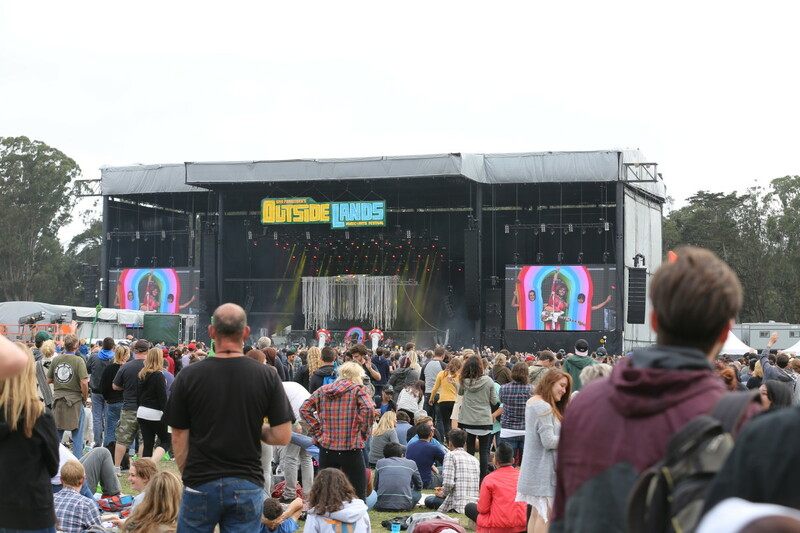 The sun was shining, the music was diverse, the dance moves were strong, and I have never seen that park look so damn good in all my years of festivaling. They clearly put something special in this San Francisco Summer because I was never cold nor misted upon, I was mildly sunburned and welcoming the sweat from grooving. Now, Friday was Kanye in a big way. You are either a fan of Kanye or you are not, but the fact that you are even talking or thinking about Kanye means he has already won. Requesting the crowd to grow circles on the cramped polo fields, he was able to get the paying attendees to work for him. The visual spectacle and list of hits old and new were motivation enough for Mr. West’s tall order. Kanye West delivered a visually immersive set on par with the likes of Trent Reznor&apos;s Nine Inch Nails. 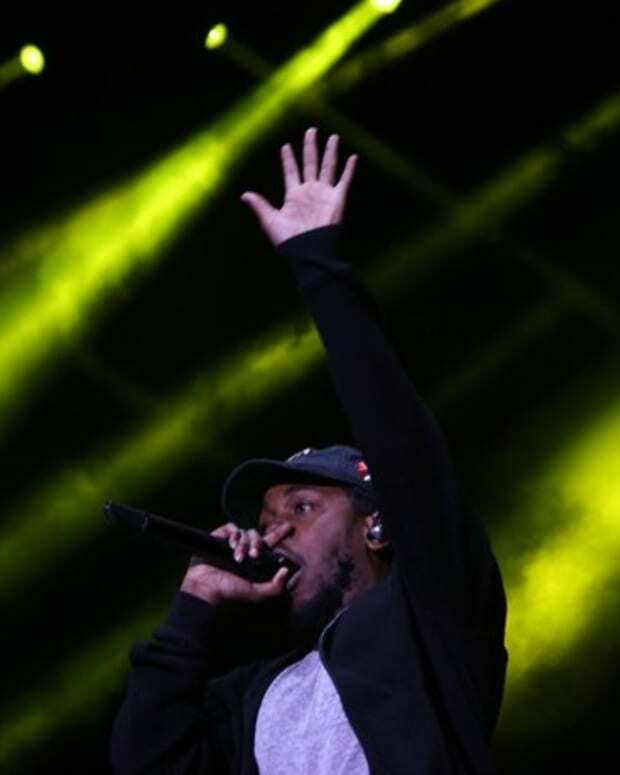 Also, it generally felt intimate and unique, especially when Kanye decided to play Blood on the Leaves twice; it had the feeling that it was not just another festival set (take note Outkast!). Kanye&apos;s rant was of course well received, enjoy the video below compliments of Greg Carr. 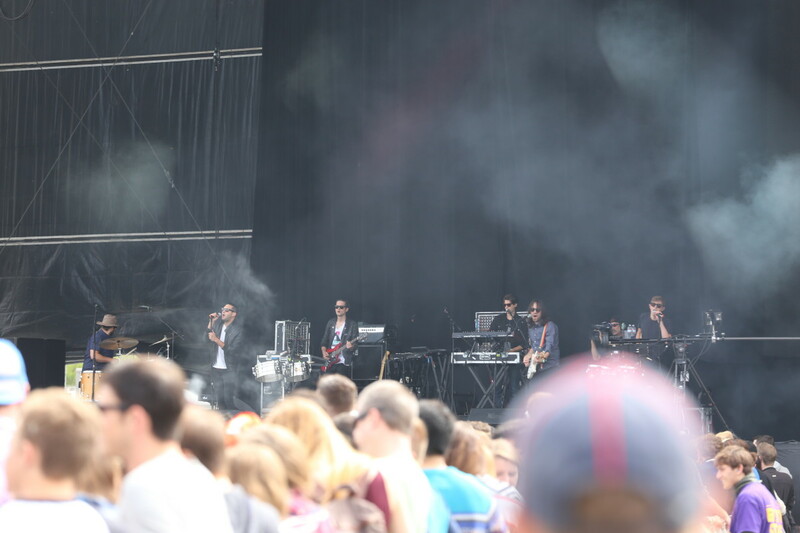 Chromeo crushed the fields with their funk, and the crowd wanted more, more, more. They know how to rock a California crowd. Nothing but smiles and positivity with plenty of people dancing vigorously. The Funk Lords may be the hottest act of twenty fourteen, there may be plenty of festival year to be seen, the truth is they are the best act I have experienced two times over this year. The perfect sunset act. These kids are the current gold standard and I am so excited to see where they go from here. The crowd hungered for them, and the singalongs were loud and proud. Although some might argue there is Disclosure fatigue, especially with regards to &apos;Latch&apos;, I can say the crowd wants the hits, and Disclosure plays them well and often! The act that lit the day on fire. The good people of San Francisco, locals and tourists alike, vibed and the groove was indisputably alive. Holy Ghost! maintains creative integrity with a growing sound, something festival main stage acts seldom do. They are working their way up the festival slots and I know I will be a devoted fan until they make it to the headlining spot. Dancing that early on a Friday is always an amazing sign, keep it up gentleman! I was not sure if Tycho’s beauty and creative power would translate to a festival environment. Yet, like every show, Tycho knocked it out of Golden Gate Park. A big draw early on Saturday and definitely a highlight, the visual component and soothing, flawless sound Tycho is known for was very well received by a surprisingly large crowd. Tycho has always been a respected group, now the band is an established crowd pleaser. When you are hot, you are very hot. A massive crowd gathered waiting outside the Heineken dome and far out into the rest of the festival for Gorgon City. 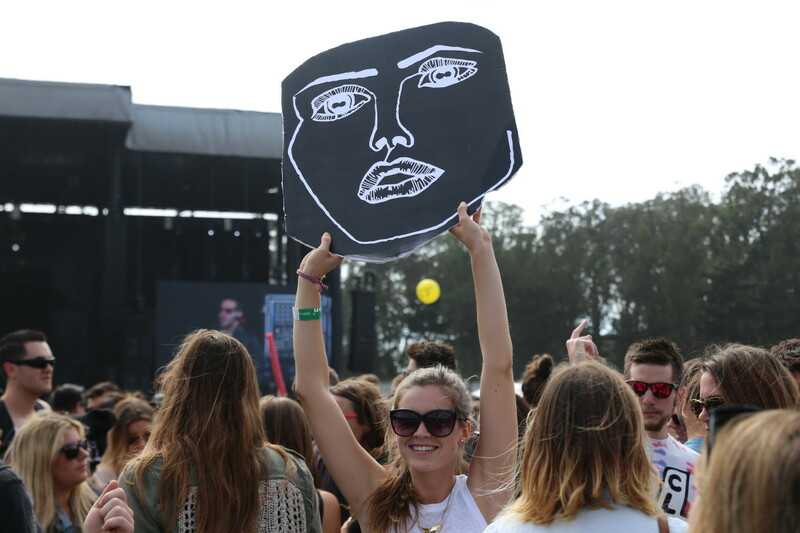 These kids from London brought their best and Outside Lands was buying what they were selling. I must say they may be booked more for club oriented shows or venues, I think it may be time to reconsider where to book Gorgon City for a major festival, they deserve a significant stage appearance! Keep your eyes and ears open for their album later this year, it is ever so romantic and well produced. Duck Sauce delivered their usual spectacle which was amusing and got the crowd going, although my position at the venue inhibited me from fully embracing the sonic capacity of the speakers. It is an inherent weakness of the Twin Peaks stage that I have experienced several times before. I am a devoted A-Trak fan, and I must say his solo set the year prior was much stronger than the super duo appearance this year. They were able to get the crowd moving, but when they stopped mid-show to take take selfies for their instagram account with cartoon sized duck bill masks. I must ask, at what point does the branding and marketing overcome the importance of the show? Should we as an audience allow them to take time to further their brand? Or should their focus be completely on us, the paying viewers in attendance? This is no criticism of Duck Sauce’s music, but it is a question I feel needs to be asked of electronic dance music culture. I have never experienced this talented German techno guru on such a small stage, but I am thankful that I did. The Panhandle is not necessarily well suited for huge headlining caliber dance acts, it is effectively a walk by stage for those en route to the second largest dance oriented stage of Twin Peaks. This did not prevent Boys Noize from throwing down and staying true to himself. A special appearance by A-Trak was not that surprising, but very welcome! Wayne Coyne’s voice has not aged, I doubt it ever will. The Flaming Lips greeted the crowd with their definitive sound and it felt like a warm embrace from an old good friend. With fun stage characters dressed in mushroom, hill and rainbow costumes, The Flaming Lips brought nothing but hugs and smiles to a crowd that was ready to feel amazing about life. I am really excited for the Sgt. Pepper’s Lonely Hearts Club Band cover album now. The Flaming Lips are having a moment, and I am glad I was able to see them for the first time and to be a part of that big moment. The synthpop gods from down under have not lost any of their enthusiasm. They have the hits and they play them, and their most recent album provided fresh material for the fans to fall in love with. Their subtle visuals paired nicely, and they worked the crowd like any seasoned band can. They even demonstrated experienced showmanship with the backing members going wild all over the stage. I particularly liked the aggressive tambourining that occurred. I never knew a tambourine could be smashed on stage, it was very punk rock in the most polite way possible. I also turned to my right and noticed that some fans were really vying for the best spot to see Cut Copy. Respect to this gentleman! The vantage point may draw the ire of security, but it is better to burn out than to fade away... Or at least get an amazing view of Cut Copy from up in a tree for five minutes! A question I must ask, what would Tiësto do? Answer: Everything right! Tiësto was glad to see us, and we were even happier to see him. 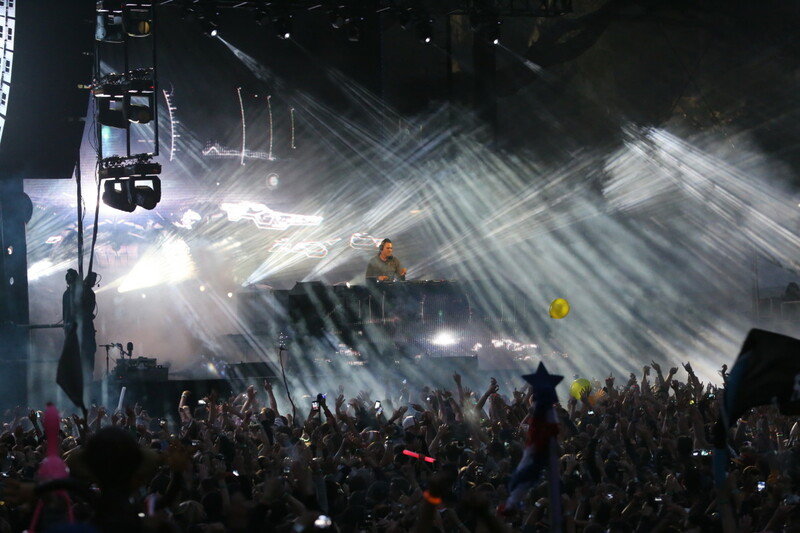 I was a fan of Tiësto before, but now I can say I am a fan that will be seeing him many more times in the future. A beautiful crowd with beautiful dance moves, this was the exact way I wanted to close the festival out, and by god did I leave nothing out there on the festival grounds. Dancing on a hillside, it provided me with a great vantage point, but a challenging standing position, I was quite sore in the strangest ways the following morning. This did not however prevent me from giving my all, and conjuring up by far the best dance moves for the spectacular set that this renowned dutchman delivered. San Francisco is home to, I believe, the most restaurants in any metropolitan area in the world. To put it lightly, we San Franciscans like to eat, and we appreciate diversity. At most festivals people do not think to seek out premium food for fear of their wallet being destroyed. Now I am not saying festival prices are not in effect at Outside Lands, but the gourmet quality is well worth the price. 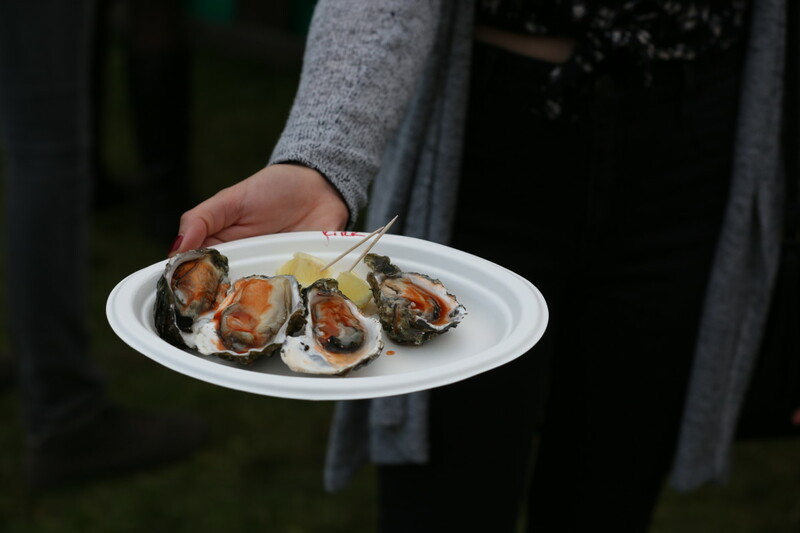 I feasted like a king, and the highlights of my dishes were Nombe Ramen Burger & Sushi Burrito, and the soon to be extinct Drakes Bay Oysters. San Francisco way back when experienced a summer of love, so a loving atmosphere has lingered to become a permanent fixture in Golden Gate park. Most everyone who attended the festival would agree the people of Northern California are a little different in the best ways possible. Yes they are weird, yes they rage, but generally speaking, good attitudes and positive vibes are guaranteed. 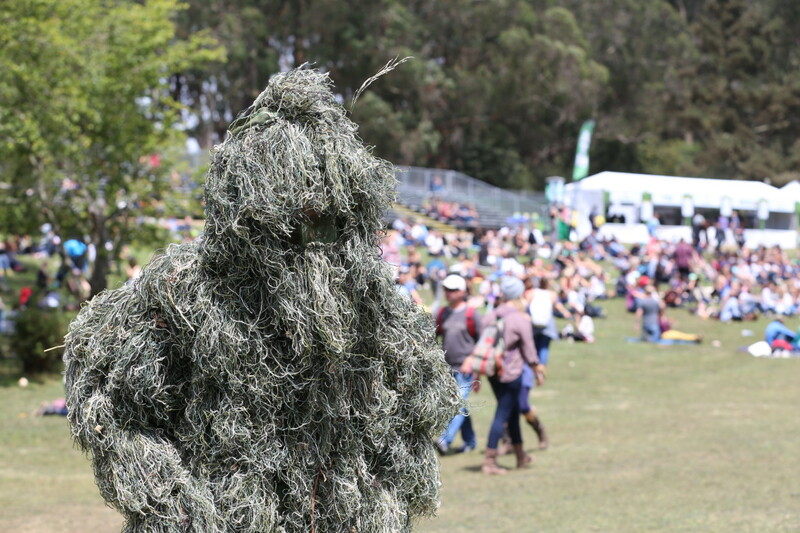 Plenty of festival flavor, and then some real gnarly characters, the people watching at Outside Lands is second to none. As a festival veteran, I must say I appreciated all the excuse me&apos;s, pardon me&apos;s, apologies exchanged politely as all moved through the masses of festival goers. Naturally the day Kanye played everyone was a bit more rowdy, but come day three, I think anyone could have brought their classy, refined mothers and those mothers would have nothing but nice things to say about the festival. On Sunday as I walked around early, I looked and was not sure if I saw a tree walking, a sniper chilling, or Wayne Coyne trying to hide in plain sight taking in the early sets. 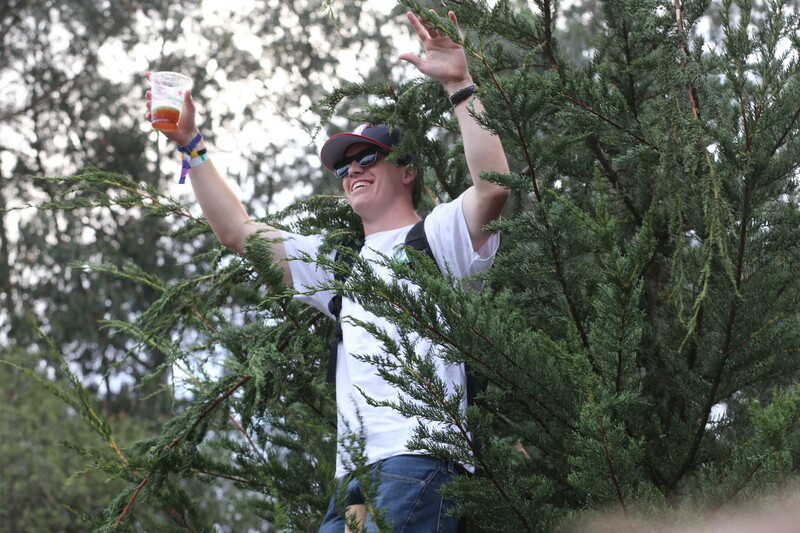 It turns out it was just a young enthusiastic festival goer named Ebn Daly. I am really not sure how security let him through, but I am not surprised, the Outside Lands security does a good job of encouraging people to safely let their freak flags fly. In summation, this festival is a must for any self respecting Californian. 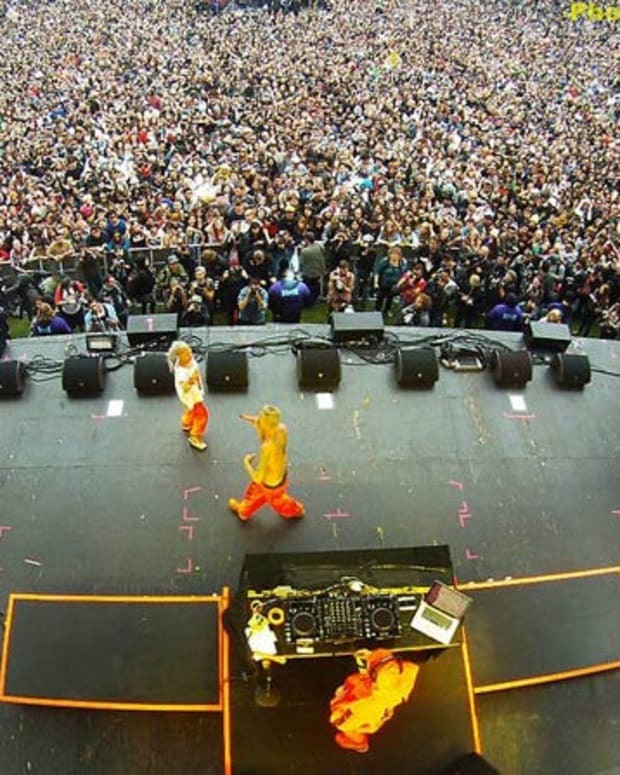 Southern California is not the only place that knows how to bring in top talent and deliver a top notch festival experience. 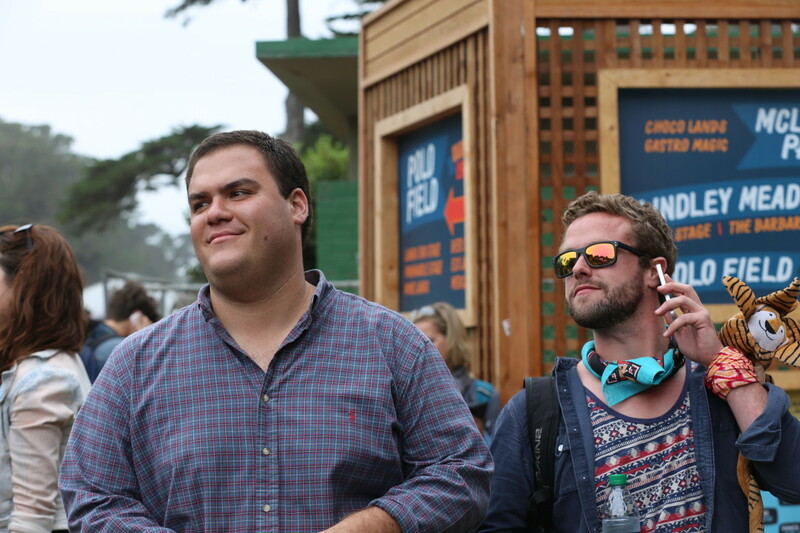 Golden Gate Park is a majestic, sublime venue that pairs well with the finest tunes. Also, the cuisine of San Francisco and its local seafood offering will always have the heart of this writer. One of the most beautiful moments happened on Day Three at the very end. As I was walking out after Tiësto crushed it. The crowd was jovial as it moved towards the exit, laughing and singing. Suddenly out of nowhere, a slow but strong cheer arose. It was not for any act, but for Outside Lands itself. The crowd was pleased and no one wanted it to end. 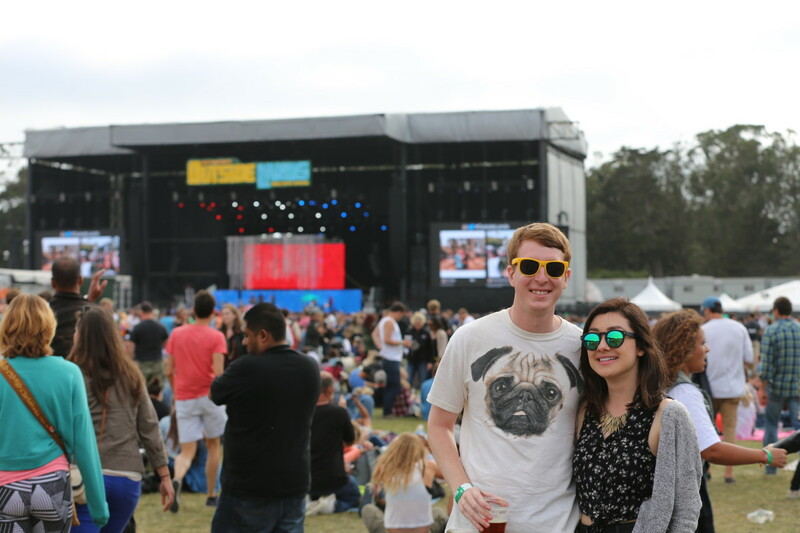 Let us give it up to Outside Lands, I cannot wait until next year!